AIMKids MM1 – What’s an AIMKid? connect to missions in general. relate to the life of an MK (Missionary Kid) specifically. understand how they too can help their friends know more about Jesus & his love. 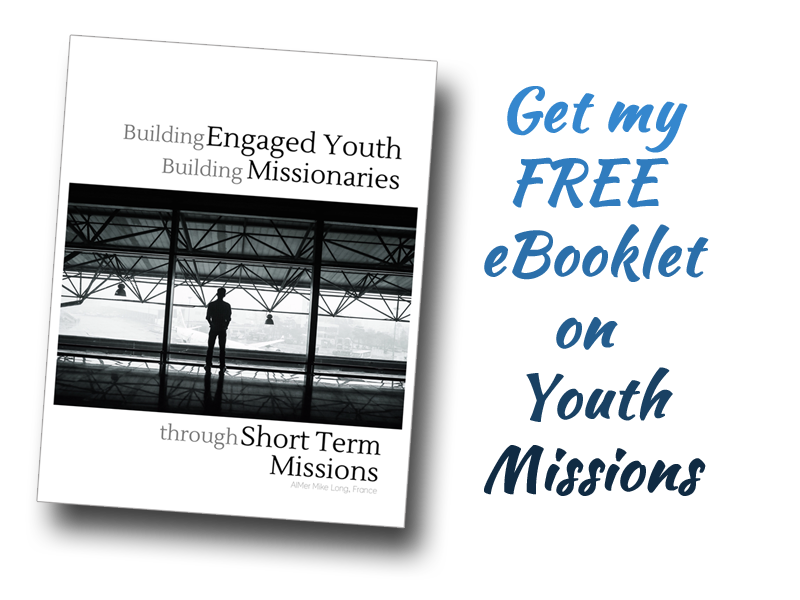 .The term AIMer refers to someone who goes on AIM (Associate in Missions) for short-term missionary work that usually last 2-months to 1-year (in our case it will be between 1.5 – 2yrs). AIMers can be single, a married couple or a family (like us). They can be in their teens, twenties or even older. Generally they work with other missionaries – it’s rare for them to be all by themselves in another country. Actually… AIMKid is a word that our dad made up. Have you heard of MKs before? They are Missionary Kids… technically we’re really MKs too… but just through the AIM program, so my dad liked that word. Since our dad made it up, that makes us the first AIMKids ever! How cool is that!? – Pray that God will help us learn the new songs that they sing there. – Pray that we’ll be brave and meet new friends & tell them about Jesus. Pray that God will help you to be brave about talking to your friends about Jesus & how he loves them. If students have specific questions, please email us and we’d be happy to respond specifically. Please let kids know that by praying for us regularly, THEY TOO are part of taking Jesus’ love to France… they’re part of missions! Again… to see a summary of the AIMKid Missionary Moments, as they are currently planned… click on #AIMKids in the top menu or click here. « 4 Weeks from France!